Okay so it's not a super exciting thing but hear me out. I first discovered these as my old infrared sauna studio and FELL IN LOVE. Turkish towels are super thin while surprisingly absorbent. They are also extra long which I absolutely love. Additionally, they roll up super tiny so it makes bathroom storage a lot easier. I use these bad boys every day. Not only do I use them for showering, I also make sure I pack one in my gym bag to dry off with. They come in even handier when traveling. I always make sure to stow one away in my carry on. I like to use these as a blanket on long flights. Also, I never trust hotel towels. Usually, they are itchy and way too short. 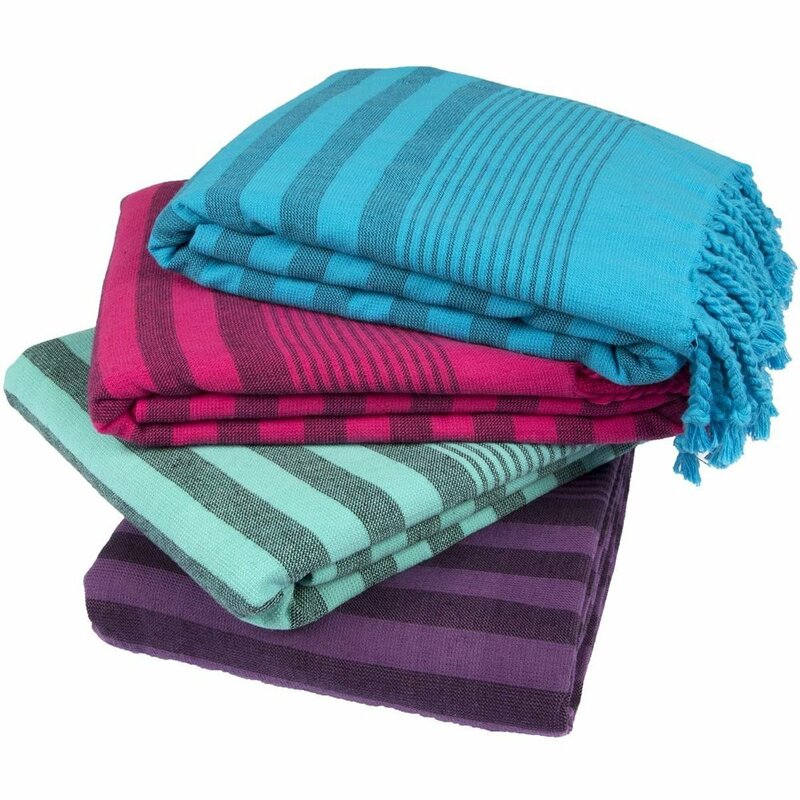 They also double as beach towels or if you are in a pinch, a yoga mat towel. Or if you are just really grossed out by hotel blankets like I can sometimes be, wrap up in this! And don't worry, they dry fast so you won't be stuffing a wet towel in your bag before your flight. Have you ever used a Turkish Towel? Are you as obsessed as I am?